The instrumentalisation of the access to health services happens quite often in conflicts. Whilst international aid is supposed to be neutral and apolitical, it is caught into a paradox. The World Health Organization (WHO), by engaging solely into cooperation with official institutions, in fact misevaluates the political impact of its engagement in Somalia; the lack of aid in certain rebel areas fostering insecurity and leading to violence. The de facto independent State of Somaliland, still being unrecognised as a such by the international community, is left aside by the WHO that considers that sovereignty as a prerequisite to access aid., leaving the population in the area without access to health services. International health organisations shall rather engage with local populations to find solutions to the lack of aid and offer access to health services no matter the political orientations, as diseases know no border. While provision of welfare services, such as healthcare, is one of a government’s foremost responsibilities to its citizens, it can, at the same time, be a useful policy tool—with the ability to win over supporters. In contested areas, either between states or entities within a state, welfare becomes an even more potent way for a state to exert and extend its authority. Often, these disputed territories involve nations that are large international aid recipients, with the provided aid supplementing the government’s pre-existent social services. The World Health Organization (WHO), established to address global health issues such as communicable and non-communicable diseases and malnutrition, is one organization that provides such aid. WHO prides itself in its independence from outside political influences, instead approaching issues of health from an impartial, scientific perspective. Central to this policy is WHO’s commitment to working primarily with the central governments of WHO member states rather than approaching issues from the periphery. While the intention behind this rule is to avoid entanglements in political conflicts, WHO is neglecting the inherently political nature of the aid and support it provides. In areas of political tension, WHO should instead be more willing to cooperate with local governments or non-state actors on either side of conflicts. Such an approach would actually mitigate WHO’s political impact while simultaneously allowing it to extend health services to a larger number of the world’s most vulnerable populace. The failures of WHO’s current approach can be seen across many political situations and geographic regions. In Somalia, for example, the restrained efforts of international aid organizations like WHO have drastically altered the country’s political landscape. Two main political entities exist in northern Somalia: Puntland and Somaliland. While Somaliland is a de facto independent state, Puntland is a largely autonomous government that supports a federal Somalia and opposes Somaliland independence. Somaliland is, however, unrecognized as an independent nation by the international community. With sovereignty typically seen as a requirement for aid, Somaliland receives very little support from foreign governments or international organizations. While WHO does maintain an office in Somaliland’s capital, it operates through coordination with the central Somali government. 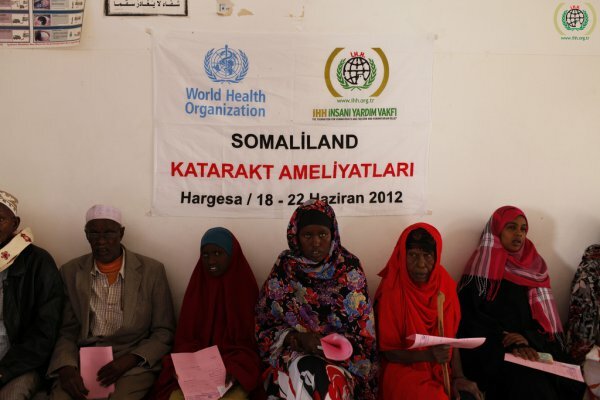 As a result, WHO’s efforts in Somaliland are minimal, jeopardizing the health and wellbeing of its residents. The political impact of this situation chiefly manifests itself not in Somaliland proper, but in the borderlands straddling Puntland and Somaliland. Seeking international recognition of its independence, Somaliland maintains that it controls all the land originally part of British colonial Somaliland. In reality, however, the people in Eastern Somaliland and Western Puntland have no set loyalty to either polity. Since the founding of modern Somaliland and Puntland, neither has had the financial resources to expand government influence beyond their respective centres. As such, the borderlands have been economically neglected by both Somaliland and Puntland. Furthermore, both entities have each restricted International Nongovernmental Organization (INGO) access to the borderlands in an attempt to coerce support. Because of this isolation, several autonomous governments have developed in the borderlands. The rise of these governments directly threatens the political power of both Somaliland and Puntland, and has led to violent military excursions by Somaliland. The deterioration of this political situation along the Puntland-Somaliland border can be attributed to the absence of social services. By providing little to no aid to Somaliland and the borderlands, WHO and similar organizations have played a central role in borderland independence movements and ensuing military conflicts. In other words, WHO’s steadfast determination to remain apolitical by choosing to remain out of Somaliland and the borderlands actually had a measurable political impact. Alternatively, WHO could be more willing to engage with Somaliland and local populations in the borderlands: such an approach could leverage Somaliland’s lack of aid and offer support to Somaliland for access to the borderlands. An influx of aid would alter the political situation in the borderlands by removing the original impetus for borderland autonomy altogether. This could be seen as an asset, allowing the local borderland populations to choose their political fate on the question of federalism or independence, not survival. Most importantly, it would improve WHO’s ability to coordinate health services in the borderlands without significantly damaging the present political situation. While Somalia is emblematic of the negative effects posed by WHO’s apolitical approach, Myanmar demonstrates the folly of aligning too closely with a central government. Coming off years of internal military conflicts, Myanmar has recently undergone democratic reforms. But following its civil wars—fought over the ability to govern people instead of controlling territory—significant barriers exist to Myanmar’s newfound stability. Numerous militia groups are still active throughout Myanmar, often representing minority ethnic groups. These insurgents are often quite popular among local populations because they provide social services, establishing a strong sense of community. Myanmar’s central government has naturally attempted to expand its own social services to form a more cohesive state. Myanmar receives a sizable volume of aid ($1.17 billion in 2015) from sources like the WHO to develop its social services. While this top-down approach might seem like an effective way to strengthen the state, it is instead exacerbating existing political tensions. Local populations in contested regions regard the sudden increase in government social services with suspicion, viewing it as an attempt by the government to subdue them. Government intentions aside, state-run social services that subvert local institutions will understandably face local opposition. These same populations also extend fear towards WHO and other INGOs that support the government. In this case, the political situation on the ground does not allow for extensive government social services to consolidate power. With centralized programs proving to be ineffective, Myanmar would best be served by integrating local institutions into its social service system, rather than attempting to uproot them. The Myanmar government does not seem likely to pursue such a strategy; indeed, the recent spike in the persecution of Rohingya minorities indicates that the state will only take a firmer stance against ethnic groups and local institutions if they are armed and deemed threatening. WHO and other organizations only contribute to this political problem by working almost exclusively with the Myanmar central government. To truly reduce its political impact, WHO should instead circumvent the Myanmar government more often and cooperate directly with local jurisdictions. Aid through these channels not only avoids escalating political conflict, but efficiently makes use of already-established local social service systems. In areas of political tension, WHO should instead be more willing to cooperate with local governments or non-state actors on either side of conflicts. Perhaps the most brutal of WHO’s failures can be seen in Syria, where the civil war caused polio vaccination rates to drop and the disease to re-emerge. Again, WHO’s policy meant that it worked only with the Syrian government—Bashar al-Assad’s brutal regime—on polio eradication. WHO outreach in rebel-held areas was not only non-existent because of the violent situation, but because Assad’s government intentionally obstructed most aid from reaching rebel-held areas. While WHO was effective in containing polio within government territory, the disease was able to spread throughout rebel areas. It was only through the intervention of other organizations, like the Syrian/Regional NGO conglomerate Polio Control Task Force (PCTF) that polio was successfully eradicated in opposition-held Syria. WHO’s failings in Syria are not strictly in the public health sphere, as its cooperation with the Syrian government played an indirect role in shaping the Syrian Civil War. The Syrian government has pursued a military strategy that targets the health of rebels; attacks on rebel hospitals and medical personnel cripple the opposition’s ability to care for civilians and soldiers, while the use of chemical weapons inflicts a heavy mental health burden and moral blow in addition to the inevitable loss of life. The spread of infectious diseases in rebel populations compounds the effectiveness of this strategy by increasing the health burden and further inducing fear in rebel territory. If WHO were more willing to work with Syrian rebel groups to achieve positive health outcomes, it would avoid playing into Assad’s military strategy. In accordance with WHO’s commitment to independence, extending health support to rebel groups would in fact be the apolitical approach the organization so desires: Assad’s government would not receive a strategic boost, and health responses to polio or other diseases would be more equitable across Syria. WHO seems to recognize the problems associated with working only alongside official state governments, passing the Framework of Engagement with Non-State Actors (FENSA) in 2016. This framework defines a set of rules by which WHO can cooperate and organize health responses with non-state actors, and certainly makes progress in implementing more effective health responses that allow WHO to potentially work at a more local level. However, the language of FENSA suggests that WHO has not fundamentally changed its approach. FENSA still outlines that WHO aid should not be a “competitive advantage for a non-State actor” and only provides protocols for NGOs, the private sector, philanthropic foundations, and academic institutions. The framework omits administrations or groups that operate against central governments. As seen in Somalia, Myanmar, and Syria, these types of local administrations are often the best partners to improve health outreach and to avoid increasing political conflict or tension. The actual implementation and effects of FENSA remain to be seen, but WHO will likely need to continue developing its approach in contested regions to remain relevant. WHO’s aim to improve global health while maintaining a low political footprint is certainly admirable. The error, instead, lies in its implementation: close partnerships primarily with central governments have a far more significant political impact than does working with local or regional organizations and governments in contested areas. In many ways, WHO could learn from the healthcare issues it strives to eliminate. Diseases do not regard political borders as absolute boundaries, and neither should WHO.